As the official travel package provider for the Intertust Cayman Islands Marathon, Pleasant Holidays offers great air-inclusive participant rates. 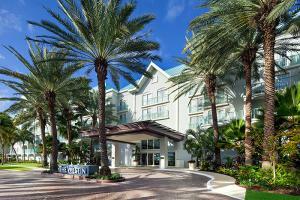 Book your air-inclusive marathon vacation package at the Westin Grand Cayman, the official hotel of the 2017 Intertrust Cayman Islands Marathon. Nestled among palm and casuarina trees, this resort is situated on the pristine white sands of the famed Seven Mile Beach. Enjoy guest rooms highlighted with Westin Heavenly Bed® and Bath® amenities. Dine at the only AAA Four-Diamond restaurant on the island. Rates are based on roundtrip air travel to/from Miami (MIA) and are per person, based on double occupancy. Advertised vacation rate(s) valid for departures 12/20/17.